The Fire Ant Program in SEQ is in Limbo: Eradicate, contain, manage? Who pays? The Commonwealth Agriculture Ministers’ Forum (AGMIN) has yet to make a decision on the future of the National Red Imported Fire Ant Eradication (RIFA) Program in South East Queensland (the Program), the Queensland Minister for Agriculture and Fisheries, Leanne Donaldson informed me in her letter on 9 June. Until then, the Program remains in limbo. Will the Queensland government continue trying to eradicate fire ants or will it refocus on containing and managing them? And who will pay? In April 2015, AGMIN commissioned an Independent Review into the future of the Program. The report was finalised in December 2015. The Program’s rate of success to date demonstrates that it is neither eradicating nor containing the spread of fire ants and the RSS has contributed little to either. The 2009 Independent Review panel was horrified that the ‘total restricted area of the Program has increased from an initial 28,000ha in early 2002 to an all-time high of 93,000ha.’ By June 2015, the total area of the fire ant restricted area in SEQ was up to 341,052ha and covered 238 suburbs. The 2009 Independent Review panel was ambivalent about the likely success of using remote sensing surveillance (RSS) to detect fire ant mounds. They noted that this was the third time the Program had considered using it: abandoning it twice before because its results can be too uncertain under operational conditions. If the false positive rate is too high, it will detect possible nests everywhere and therefore not significantly reduce the size of the surveillance problem. If the false negative rate is too high, it will miss small infestations that will cause the eradication effort to fail. And RSS can only be used during certain times of the year and over limited areas: so fire ants could disperse and re-infest faster than the RSS could find them. A review of the three years that the RSS was operational (2012-15) reported that ‘in the almost three years RSS has been used operationally … (it has detected) 38 colonies on 23 sites.’ In the meantime, by June 2015, the fire ant restricted area had blown out to 341,052ha, covering 238 suburbs, as the public detected and reported the hundreds of nests that the RSS missed. The RSS cameras are coming to the end of their life and will be expensive to replace. Would it be worth it? Has been able to delimit the extent of the RIFA infestation? Is the RSS contributing to this? Has the infestation been suppressed and contained? Is it still in the national interest to eradicate RIFA? Is eradication of RIFA technically feasible? Is there an acceptable benefit:cost in eradicating RIFA? AGMIN also asked the Review Panel to provide advice on the options for the future: eradication, containment and/or management. What the Independent Review Panel recommends and what AGMIN decides will have significant consequences for Queensland. The Commonwealth government will fund an eradication program that is in the national interest by contributing 50% of the funds, on condition the States and Territories contribute the other 50%. New South Wales and Western Australia governments have withdrawn their contributions to the Program which leaves future funding in doubt. Minister Donaldson informed me that AGMIN approved funding for the Program for the 2016/17 financial year on 20 May 2016, but she did not mention the amount. 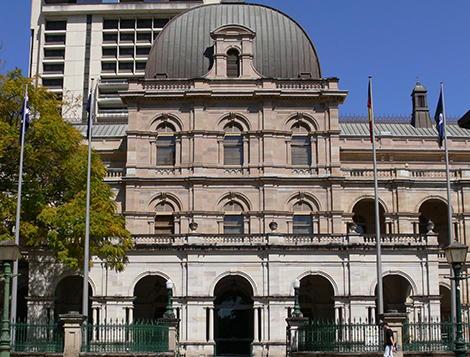 For some time now Queensland has been making up some of the shortfall in funding as other jurisdictions withdraw theirs. Will this mean that the Queensland government will start to push the costs of any future program onto the businesses and residents of Queensland? The LNP government started to do that in 2012 when they told businesses and residents that they could buy chemicals and treat fire ant nest themselves, rather than wait for an inspector to come and treat a suspicious nest. Up until then, it was considered that the risk of residents getting stung or causing the ants to spread was too high to allow them to do this. The new Biosecurity Act 2014 which comes into effect on 1 July 2016 allows the Chief Executive of the Department of Agriculture and Fisheries to appoint private providers as biosecurity inspectors, accreditors and auditors to provide services to the community for containing the spread of fire ants and to charge the public for those services. Queensland taxpayers have already contributed to the more than $310m of public funds spent from 2001 to June 2015 to stop the spread of fire ants.